Witch valve did they replace? 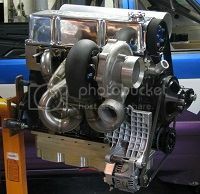 Intake or exhaust? Jerry, please don't use that word. I've got my prescription for MoviPrep right here -- the fateful day is approaching. Oh, crap. . .
Jerry, I heard he use two fingers - just to get a second opinion! 1. What do you call a potato wearing glasses at a volleyball game? A Speck-tater. 2. When I found out my wife replaced our bath mat with a trampoline, I went through the roof! 3. As Carolyn watched a dog chasing its tail, she thought, “Dogs are easily amused.” Then she realized she was watching a dog chasing its tail. 4. Nothing ruins a Friday more than realizing its Tuesday. 5. I went skydiving without a parachute. I will never do that again! but she wouldn't let me. A friend went to Palm Springs this morning for a week's stay. Since he just sent me these this afternoon, I guess he's bored already. • They told me I had type A blood, but it was a Typo. • I'm reading a book about antigravity. I just can't put it down. • Did you hear about the cross eyed teacher who lost her job because she couldn't control her pupils? • Velcro: what a rip off! • Don’t worry about old age; it doesn't last. Let's hope that they find out that you are a perfect Acura hole. Does Mickey Mouse`s wife drive a Minnie van ?